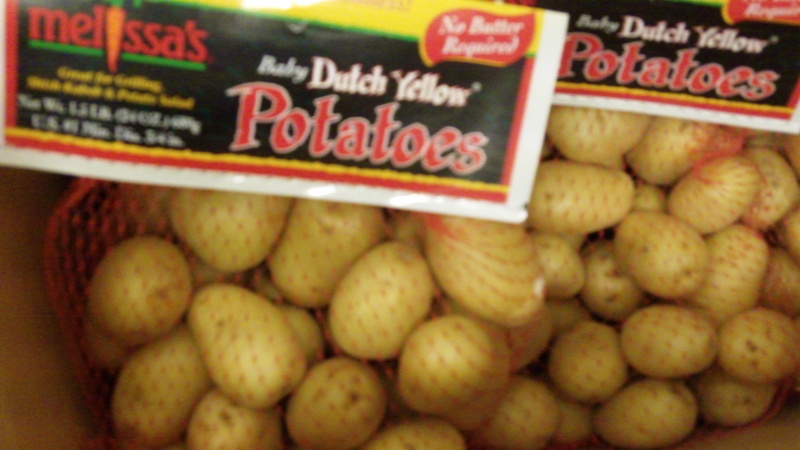 These Mellissa’s brand yellow potatoes make a great side dish. They are thin skinned potatoes and easy to prepare. Add olive oi,l rosemary , garlic and bake in oven.